AFM Records will unveil a variety of new releases on North American soil this June 19th, including a massive 2xCD collection of rare tracks from the almighty German Metal force U.D.O., the mammoth ninth studio full-length from German neoclassical metallers AT VANCE, and the sophomore album from Swedish Goth-Metal outfit THE MURDER OF MY SWEET. After 25 years in existence, having toured across the planet and an incredibly vast release catalog including a massive thirteen full-length studio albums, the time has come to unleash a collection of some of the finest and rarest tracks in the storied lineage of German Heavy Metal heroes U.D.O.! Set for North American release on June 19th, the massive 2xCD Celebrator: Rare Tracks collection bears 25 U.D.O. anthems, accumulating an array of bonus tracks, alternate versions of classic songs, previously unreleased material, guest appearances, cover tracks and much more. The cover artwork was created by Dirk Hüttner (CappOVision) and the album’s layout features tons of rare, private and never before seen pictures of the band with personal foreword from ex-Accept frontman and U.D.O. mastermind Udo Dirkschneider himself. See the cover art, an official trailer for the 2xCD set and more HERE. It’s clear that AT VANCE, the band led by master guitar magician and composer Olaf Lenk and fronted by the charismatic singer Rick Altzi, has once again gone beyond its calling and produced an extremely strong masterstroke with their new record, Facing Your Enemy. Set for North American release on June 19th, the ninth studio full-length from Germany’s neoclassical Power Metal masters AT VANCE, Facing Your Enemy boasts fifty minutes of some of the band’s finest material to date, soaring with epic songs and a professional recording fans have come to expect, all recorded and produced in the band’s own studio. The recording lineup for the album includes Casey Grill of Kamelot on drums and is visually captured with cover art from Thomas Ewerhard (Avantasia, Edguy, etc.). See the cover art, an official video for the album’s title track and more HERE. Since the release of their debut album Divanity in January 2010, and the single that pre-ceded it in 2009 (“Bleed Me Dry” – which reached No. 14 in the Swedish National Singles Charts), female-fronted Rock/Metal band THE MURDER OF MY SWEET have become amongst the biggest hopes on the European scene. Their individual, easily recognizable and high value sound, has touched the lives of many fans and with its mix of modern, groovy, hard rock, beautiful melodies, and progressive, cinematic flair. 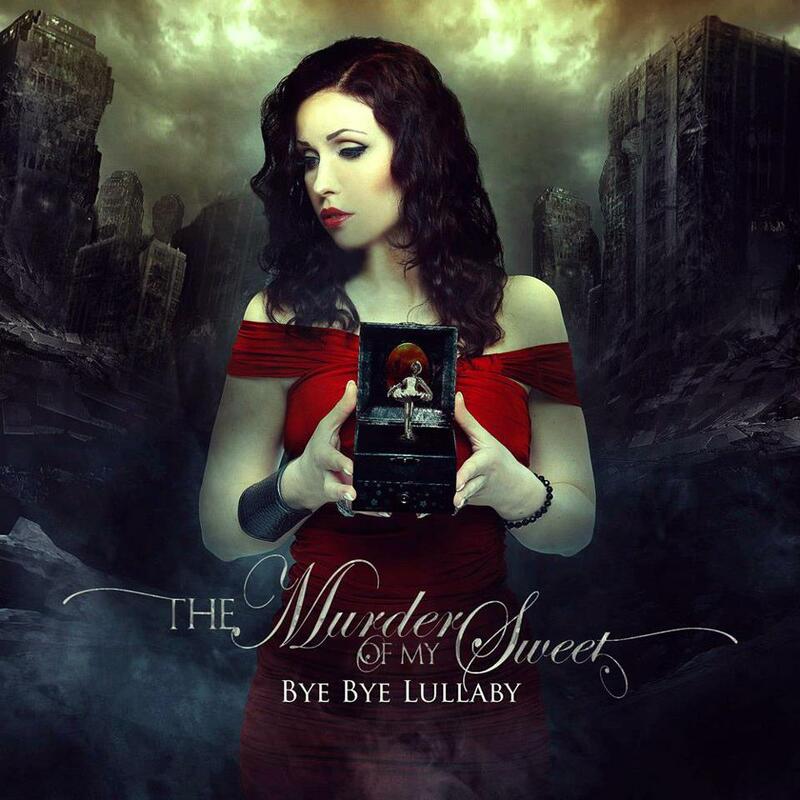 The band, led by singer Angelica Rylin, has secured a remarkable fanbase already, far from the shores of Stockholm, where the band was formed in 2007; the name inspired by the 1944 ‘film-noir’ “Murder, My Sweet”. The sophomore album from THE MURDER OF MY SWEET was produced in their own Sound vs. Science Studio and mastered at the Cutting Room (Gorgoroth, Candlemass, Glenn Hughes), and features guest appearances by Jesper Strömblad (In Flames), Peter Wichers (Soilwork) & Fredrik Åkesson (Opeth). The cover art was created by Felipe Machado (Rhapsody Of Fire, Blind Guardian, Iron Savior etc. ), and one track from the album was featured on the soundtrack of the movie “The Ice Dragon”, which was featured at the Berlin Film Festival. Check out a lyric video for the band’s track “Black September” and more HERE. LONG LIVE THESE BANDS & METAL. This entry was posted on May 24, 2012 at 10:07 am and is filed under Heavy Metal, heavy metal albums, heavy metal news, metal music, Music, Power Metal, rock music, rock music news with tags afm records, at vance, heavy metal albums 2012, heavy metal news, Power Metal, rock music news, the murder of my sweet, u.d.o..	You can follow any responses to this entry through the RSS 2.0 feed. You can leave a response, or trackback from your own site.